Cape Town is filled with the most interesting people and places. One of the Mother City’s most exponential growths is the band of brothers with folk lyrics, funny hats and even funnier accents. I’m talking hipsters. But there is a fine line between the original too-cool-for-school cats and those trying whatever it is they can think of to be different and anti-everything. 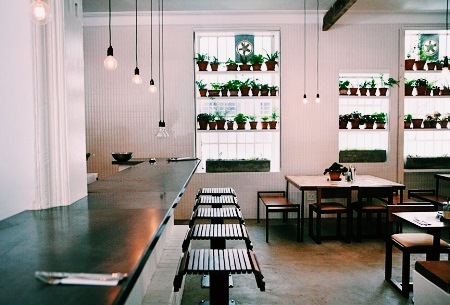 In the last month I have been to a certain cool-as-a-cucumber Bree Street haunt three times. And even though it is crawling with people that are way too cool to be my friends and are super artsy and alternative and whatever; the food is bomb and the whole energy and concept is just rad. 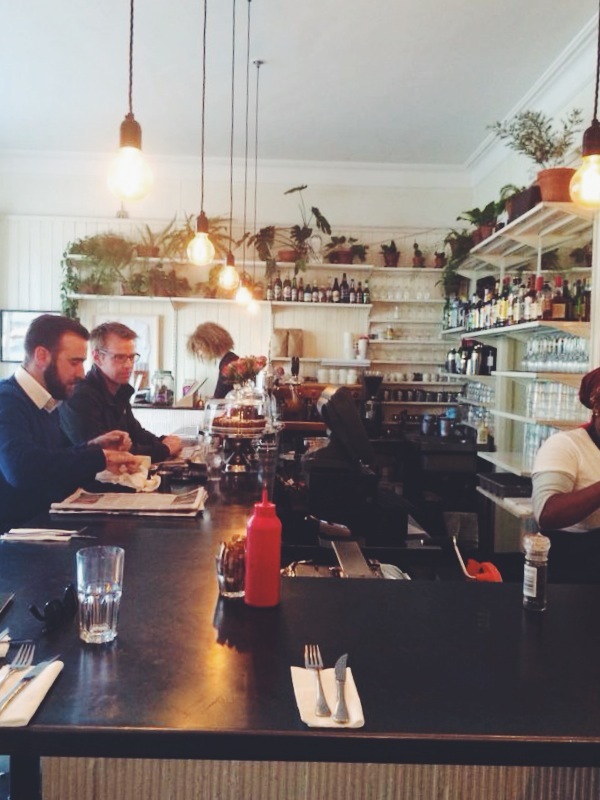 I’m talking about American-diner-inspired Cape Town must do: Clarke’s. Clarke’s has been open for a while now but I somehow only went there for the first time at the end of May (blasphemy, I know). Blame it on my year in Joburg. 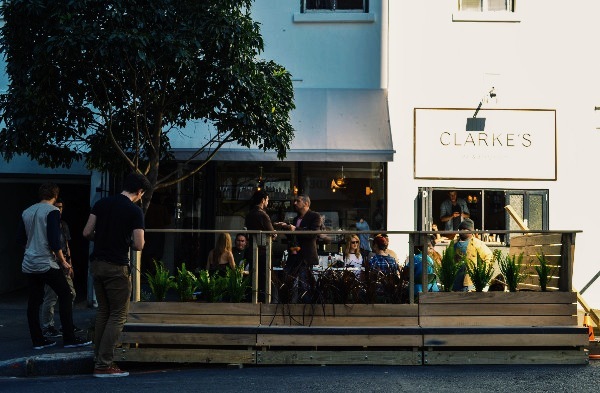 Clarke’s is seriously sick – the waiters are all ethereal beings of love and light and interesting hair dos and you would assume that given their staff and clientele’s “slow down and smell the roses” outlook that the service would be, well, lengthy. But each time I have been there the service has actually been really good and the staff have all been super friendly. It’s small and kinda cosy but bigger than you expect and filled with pot plants and leaves (I’m sure of many varieties – wink wink) and has tons of natural light and is just a really great space. 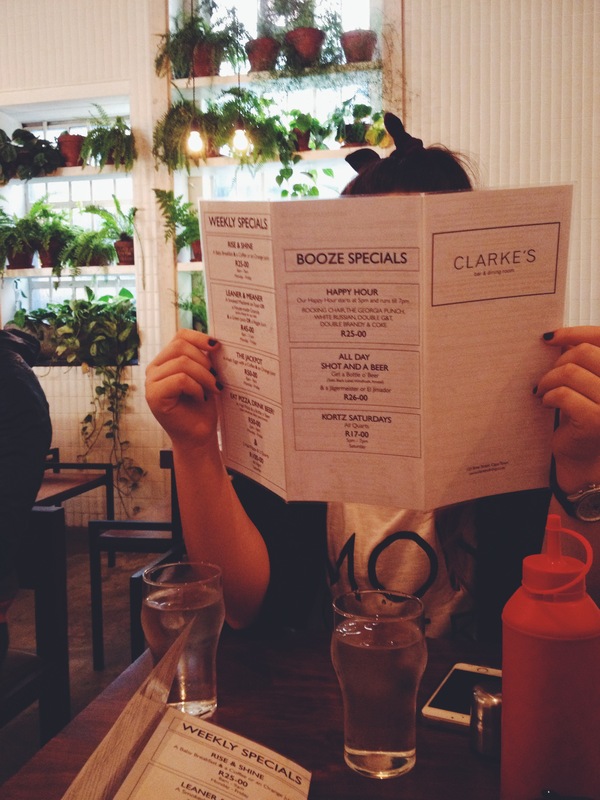 Clarke’s menu is pretty extensive but without being overwhelming and is largely based on an American diner kind of cuisine. There’s a ton of cheese and bacon on the menu, as well as everything fried but somehow it doesn’t feel like you’re going to immediately adopt obesity and roll out with a 2.5 liter Diet Coke because you’re trying to be healthy and offset everything you just ate (sorry Americans but that is one of the stupidest ideas you guys have). 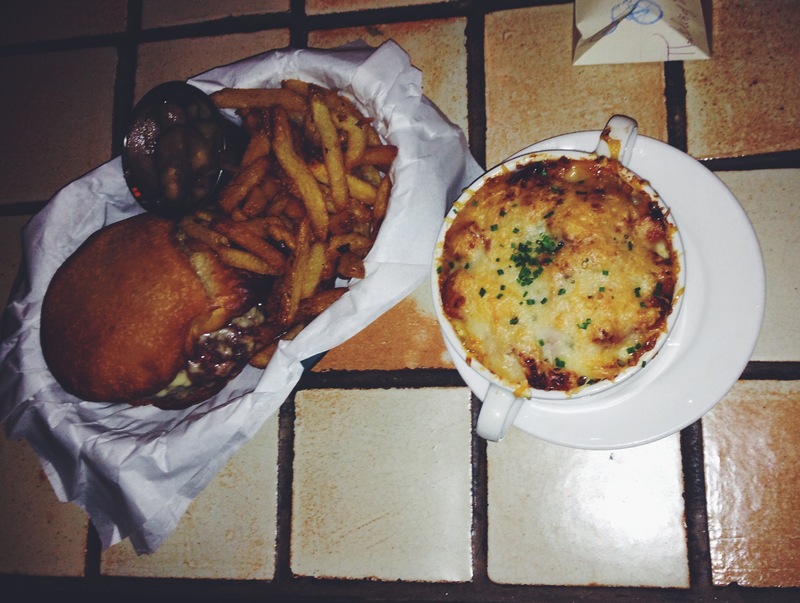 The food is INSANE and is mostly served in these little wicker baskets which just adds to the whole diner vibe. 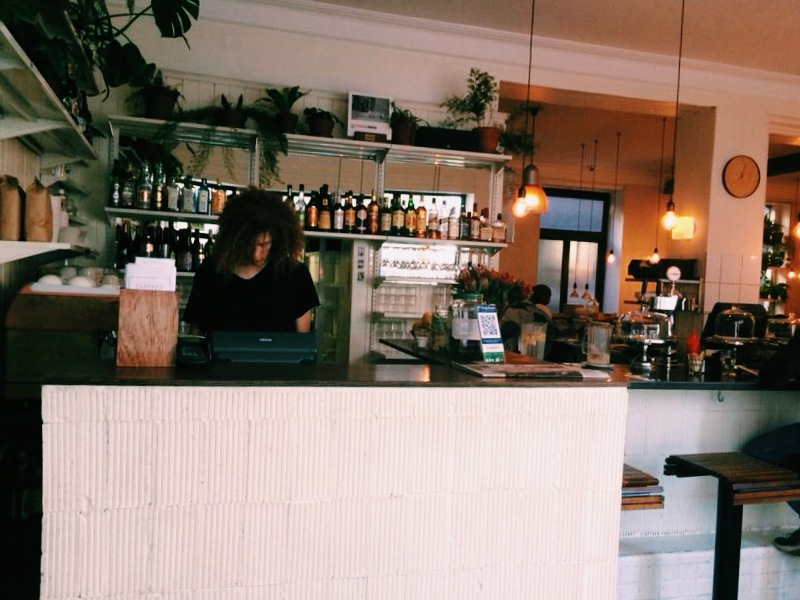 It’s like stepping into an episode of Diners, Drive-Ins and Dives but its right on your door step and teeming with laid-back local charm that you only find in Cape Town. Plus the prices are really reasonable and they have a bunch of specials; including Happy Hour and my favourite thing in the world: all day breakfast. Oh, and they have homemade pickles that come with most of the dishes and are just sooooooo flipping good. 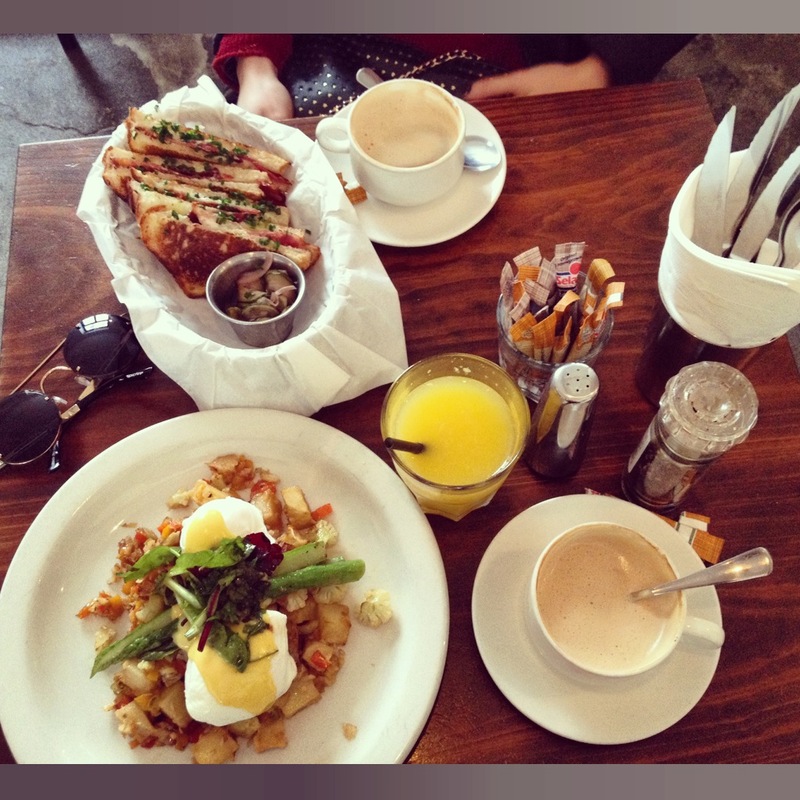 So do yourself a favour and take a stroll through Bree Street to Clarke’s Bar & Dining Room for a taste of American indulgence in the heart of the best city in South Africa. You’ll thank me later. PS. 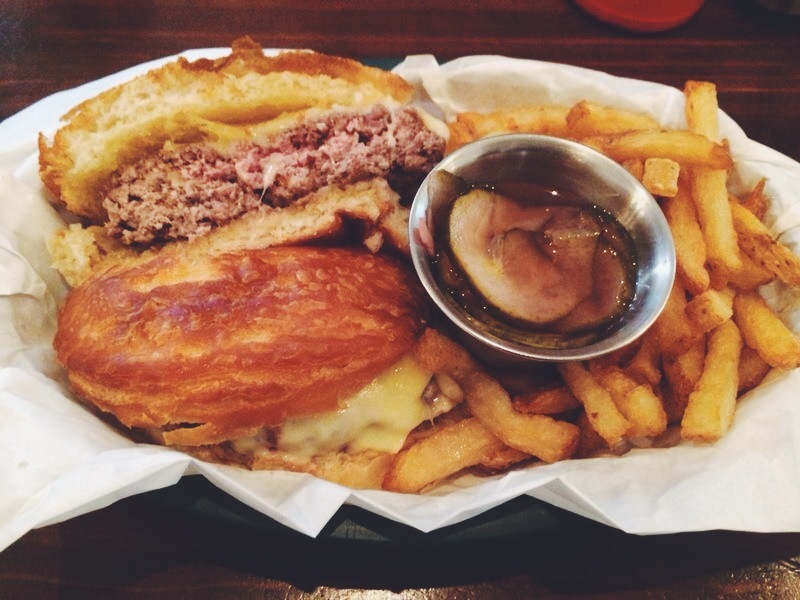 you have to have the burger. It is pretty much all I wanted this post to be about (you’ll see evidence of that in the photos) but I am far too democratic to isolate one dish from the whole orgasmic menu. this place is ALWAYS busy. always. OBSESSED with this human being. and her velvet pony tail. and how she lets me steal her phone and time. breakfast from my first time at Clarke’s. deeeeeelish. and served all day. YIPPEE. I don’t eat mac ‘n cheese but I would swim in this one if it were possible. cheesy cheese. And now for the love of my life. 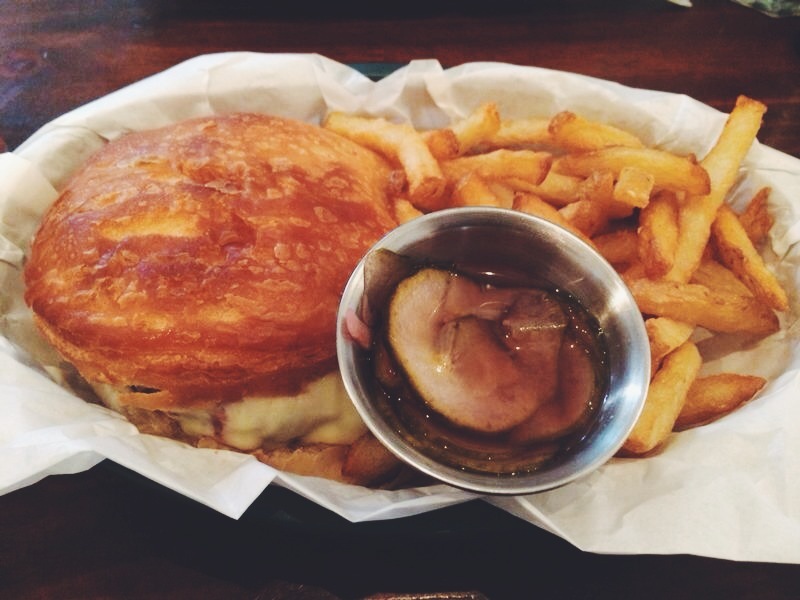 The burger. Holy moer this is a fantastic burger. I would even say one of the best in Cape Town. Firstly, there is the bun. It is like a sweet doughy dessert roll that literally melts in your mouth and is just so good I could die. 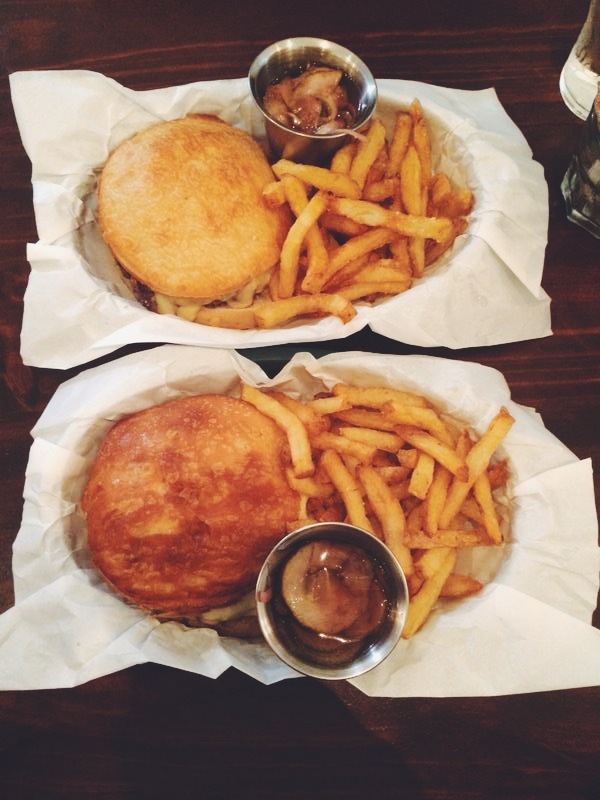 Then the patty – made from free range Bill Riley meats. Bill, I don’t know you but I love you and I am hoping you have a son for me. Or at the very least some blitong. Then a healthy (and by healthy I mean a lot of, not in anyway referring to health) dose of oozey goodness aka cheese and the maddest fries. And those pickles. Ooooooh the pickles. Hello. I literally just ate this and am already salivating for another. It is that good. Well done people of Clarke’s, well done. And thank you.